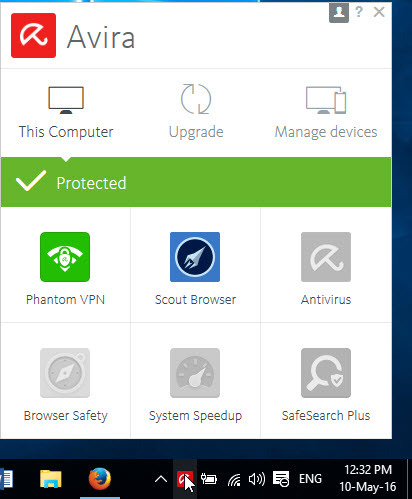 Avira Phantom VPN is a free and paid Virtual Private Network service for windows and android from Avira. The initial free plan offers 500Mb of free secured traffic for unregistered user but you can increase it via the registration. It will give you extra 500MB traffic. The paid pro plan comes with unlimited traffic and tech support. It offers End-to-end encryption to protect your online privacy and Secure yourself on public WiFi hotspots.It will Mask your IP address to bypass geo-restricted content by changing your IP address. 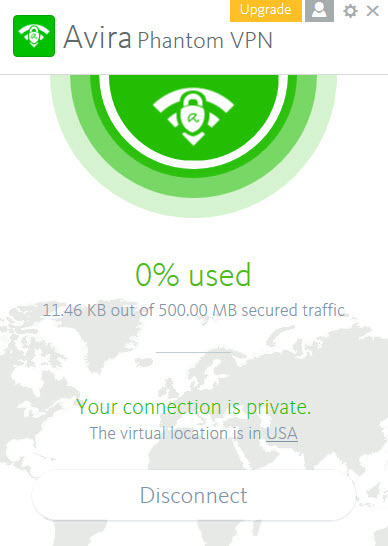 Avira Phantom VPN windows installer is less than 5MB. 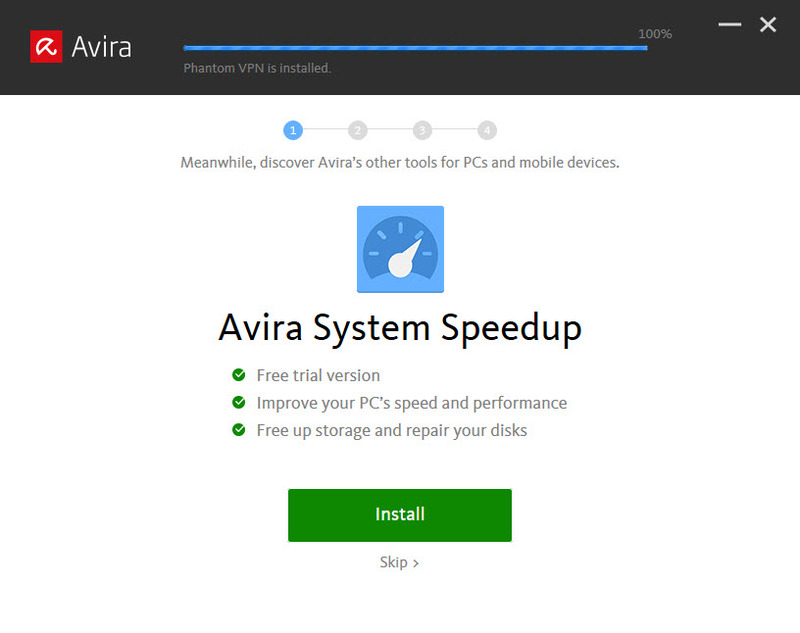 After the installation it will show some other avira products installation offers, just skip it if you dont want it. It also installs avira launcher during the installtion. 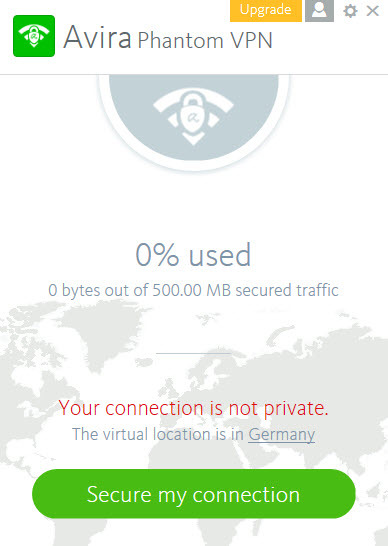 Open Avira Phantom VPN and click Secure my connection to start the vpn service. To stop it just click the Disconnect button. You can change the country settings by going to the setting menu. The current country list contains 13 countries. Countries include Austria, Canada, Czech Republic, France, Germany, Netherland, Poland, Romania, Spain, Sweden, Switzerland, United Kingdom, USA.